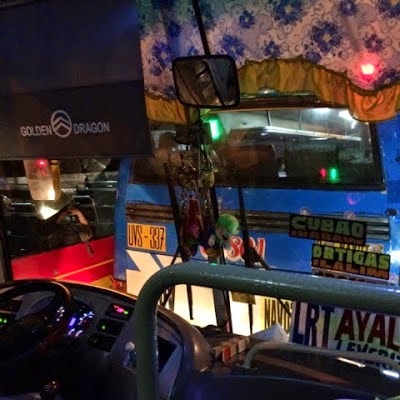 Typical Filipino bus driver's way of right thinking? The problem of no ethical education on professional driving. The greed for space or the need of passenger? The idea of both. People hating heavy traffic but themselves creating the cause! They always think it right - the traffic log is blamed on others. Passenger friendly - not! Passenger frenzy maybe and the need of money!